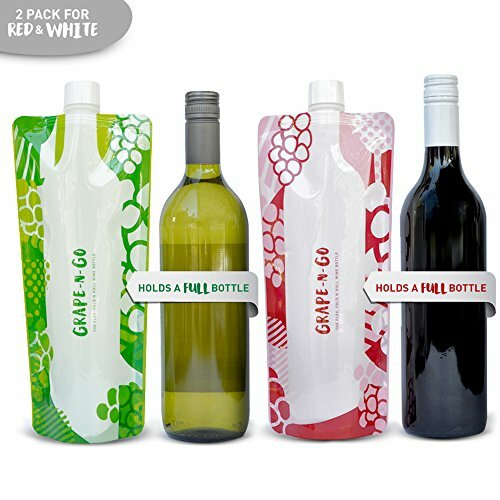 GRAPE-N-GO Flexible and Foldable Wine Bottles - Twin Pack! 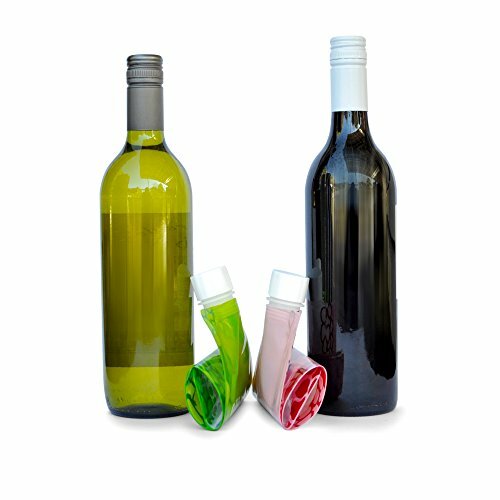 - The Flex, Fold & Roll Plastic Wine Bag Flask for Red and White Wine - Best Travel Accessory for Vino Lover on the Go. 2 Bottle Gift Set. Product prices and availability are accurate as of 2019-04-14 09:46:04 UTC and are subject to change. Any price and availability information displayed on http://www.amazon.com/ at the time of purchase will apply to the purchase of this product. Do you love wine as much as we do?! The Grape-N-Go Flex, Fold, & Roll Wine Bottles are your GLASS FREE unbreakable, flexible and foldable solution for lovers of wine, travel, and the great outdoors. No more worrying about glass breakage with our lightweight, foldable and collapsible wine preservation travel flasks. 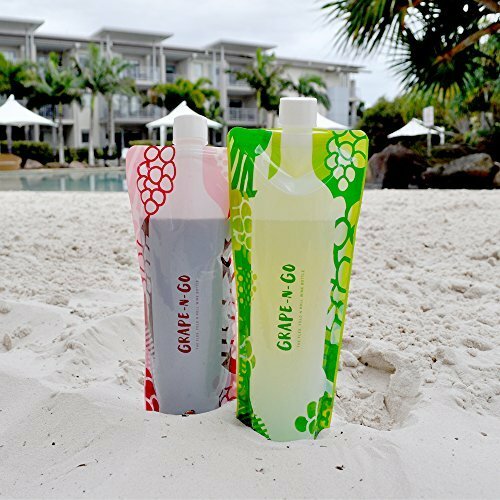 Grape-N-Go gives you 2 fantastic bottle designs in 1 pack for all discerning wine drinkers who love a good drop, and want to drink it anywhere!
? 2 Beautiful Bottle Designs in 1 Pack - Red Wine + White Wine. 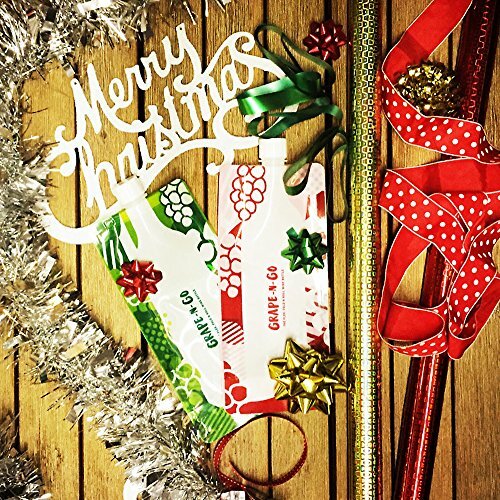 Makes the perfect wine gifts.
? Any place where glass is prohibited!
? Grab a set of silicone wine glasses or Govino glasses and enjoy the great outdoors! 2. Pour wine up to 90% FULL and screw cap on - massage bottle FIRMLY FOR 10 SECONDS, including the bottom and corners to further expand the plastic. 3. Remove cap and finish filling full bottle of wine. Screw cap tightly and ENJOY! CLICK ADD TO CART NOW! Great Christmas Gift! â™¦ TWIN PACK â™¦ 2 GREAT BOTTLE DESIGNS IN 1 PACK! Perfect for lovers of red and white wine. Great value unique wine gift for men, women, housewarming, wedding gifts or birthday party! ONE BOTTLE IS NEVER ENOUGH! 100% SAFE BPA FREE food grade plastic with zero taste transfer. Made from highest quality durable and flexible materials. Easy fill wide mouth and NO LEAK CAP - No cork or wine stopper needed! 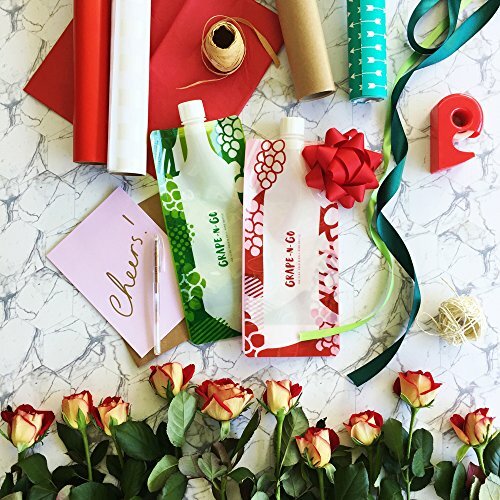 WINE TO GO - fold it, roll it, flatten it - Ditch the glass bottle, grab your silicone wine glasses, and go GLASS FREE on your next holiday, flight, picnic in the park, BBQ, beach, hiking trip, boating, camping, or just hanging by the pool. Saves a huge amount of space in your backpack or cooler! HOLDS A FULL 750ml BOTTLE OF WINE! The Reuseable, Lightweight, Shatterproof and portable wine preservation travel solution. Please refer to our filling instructions in the product description below. Buy with CONFIDENCE with our 100% Satisfaction Guarantee. Click ADD TO CART now!